Argentine writer Jorge Luis Borges created a character called Pierre Menard who decides to rewrite Cervantes’s Don Quixote. After great effort, Menard’s revision ends up being word-for-word identical to the original. However, 300 years of history and literature have passed since Don Quixote, including the novel itself. Although Menard’s words are the same, his meaning is now entirely different. This wonderful story applies to school education policy. Learning, teaching, management, governance and feedback are the same words but they now mean different things. India needs to re-imagine school education because rote learning is less important in a world of always-on internet and education needs to target the International Baccalaureate curriculum learner profile; curious, confident, risk taker, team player, communicator, reflective, etc. I guess this validates poet William Butler Yeats who wrote “education is not the filling of a bucket but the lighting of a fire”. This transition is complicated by massive change in the world of work where automation means that reading, writing, arithmetic and soft skills are becoming the most important employability skills. India has licked the quantity problem; Class 10 is the new Class 8 and soon Class 12 will be the new Class 10 for lazy employer job filtering. All these changes make teachers and their training even more important. We know that technology matters in education but we don’t know how. Even though we are probably a few iterations away from the full impact of e-learning, it’s important to keep an eye on the horizon. The 2016 Olympic silver medallist in javelin was Julius Yego, a Kenyan who taught himself how to throw by watching YouTube videos. All governments talk about physical infrastructure but any politician can tell you that schools as “infrastructure of opportunity” are top of mind for citizens and voters. Most past policy interventions – including in Rajasthan where we have 18 million children who should be in school of which 90% go to school – have focused on the three important inputs of teacher qualifications, teacher salaries and class sizes. While these continue to be important, research is iffy about their contribution to learning outcomes and suggests moving to more difficult, fundamental issues like governance. 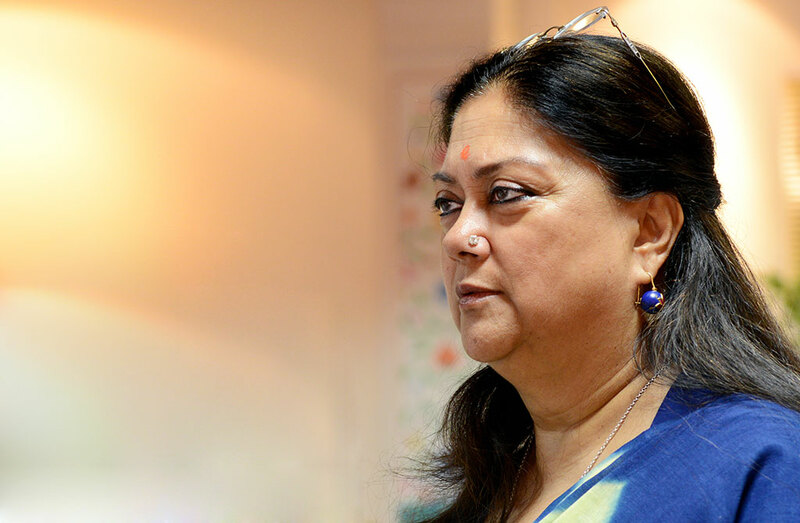 Determined to make the public school system deliver on its promise to children, Rajasthan put together a three step transformation plan: building management capabilities, strengthening governance structures and ensuring continuous feedback. The first involved a focus on school integration in each Panchayat for grades 1-12 called Adarsh schools and for grades 1-8 called Utkrisht schools with improved infrastructure, full staffing, and a focus on school monitoring by devising information and communication systems for inter-department and department to field alignment. This move has ensured higher utilisation of resources, better supervision of schools and greater accountability of staff. The second involved quarterly state wide reviews, district wise bi-monthly reviews and monthly meetings at schools, resulting in continuous performance monitoring. The third involved using social media for feedback, IT for fund utilisation and peer review for teachers that included sustained training of all personnel from the bottom up. This is showing results; the class 10 board exam pass rate has improved from 58% to 72% in government schools and in Class 12 arts, the government school pass rate is higher than that of private schools. Teaching vacancies have been reduced by 35% (from 60% to 25%) with over 1 lakh teachers promoted or transferred via a new and transparent counselling process. The most important metric, community faith in public education, is reflected in the increase of government school enrollment by 90 lakh in the last three years. A recent state wide parent-teacher meeting recorded 70% parent attendance. Community generosity in cash and kind donations to local schools has helped fill resource and infrastructure gaps. While I am delighted about the buzz in education policy makers, schools and parents, I realise that much work is yet to be done. India is in a school emergency because 10 lakh young people will join the labour force every month for 10 years and many of them will not have the ability to earn living wages because their school let them down. Many vested interests would like to perpetuate the current low-level equilibrium of our schools, but the status quo can be broken with political will, community support, transparency, communication, measurement, and much else. The Centre has begun to help states with the recent decision to devolve some decisions and remove a focus on inputs under the overly centralised Right to Education Act that fights yesterday’s war of enrollment. I read recently that private prisons are a huge growth industry in America and they have found that the best predictor of future growth – how many cells and prisoners are going to be needed in which area in 15 years – is a simple algorithm based on asking what percentage of 11 year olds can’t read. You can’t say that a literate society has no criminality but they seem to have found a real correlation. Every society has a different context but I will submit that a similar metric – what percentage of our 11 year olds can read – is the best predictor of India’s sustained prosperity and equality of opportunity.